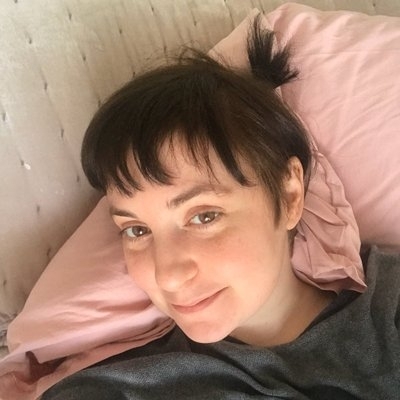 Los Angeles Sep 15 (IANS) Actress Lena Dunham says she would rather go naked than promote exclusivity in fashion. She has distanced herself from her collaboration with Revolve after the brand was accused of fat-shaming. The "Girls" star had paired up with the label to launch a collection of clothing emblazoned with insults; however a jumper which read "being fat is not beautiful it s an excuse" was posted to the website early with no explanation sparking outrage at the way it seemingly slammed those who are overweight reports femalefirst.co.uk. Dunham has now vocalised her distaste for the brand as she posted a photograph on Instagram of her lying down naked in the shower while sipping from a coffee cup. She wrote: "Hi don t mind me! Just showering lying down with my Starbucks cup full of La Croix (not sponsored). In response to the sweatshirt debacle of yesterday I ve had some amazing dialogue with other women about representation reclaiming negativity and size inclusive clothing brands. "I follow some incredible fashion bloggers/designers who highlight this (not even tagging the models actors and "influencers" who inspire me in the confidence dept) and have tagged a bunch of my true faves. "But I want to hear from you! Because for my upcoming TV appearances -- it s going to be a bad fall for those who hate me -- I ll be only repping brands that cater to ALL women...I d rather go naked than promote exclusivity." The actress was flooded with comments from fans sharing their favourite inclusive designers and labels.